There are tens, perhaps hundreds of oils, and all sorts of advice about which one is best. The reality is that there is probably no single oil that is universally the best. One oil that is good for deep frying, with a high smoke point temperature, may be thick and overpowering when drizzled onto a salad or a cooked dish. Another oil such as Extra Virgin Olive Oil may have such a strong taste that it swamps and ruins the taste of a delicate fish or seafood dish, or it burns when frying food at high temperature. Many people, including many popular TV chefs, like the taste of olive oil and drizzle it over everything in copious quantities. ► Saturated fats are bad for your health and so should be avoided in favor of other alternatives. This article provides a ranking of the best oils for various purposes based on smoke point temperature, fatty acid content and taste. For high temperature frying the smoke point for the oil is important. This is the temperature at which a cooking fat begins to break down, deteriorate, break down and may start to release free radicals and other harmful products. But for generally cooking such as softening onions and garlic and moderate temperature stir frying there are a wider range of suitable oils. ► Trans fats are generally considered a health risk an d oils containing them should be avoided in favor of other choices. 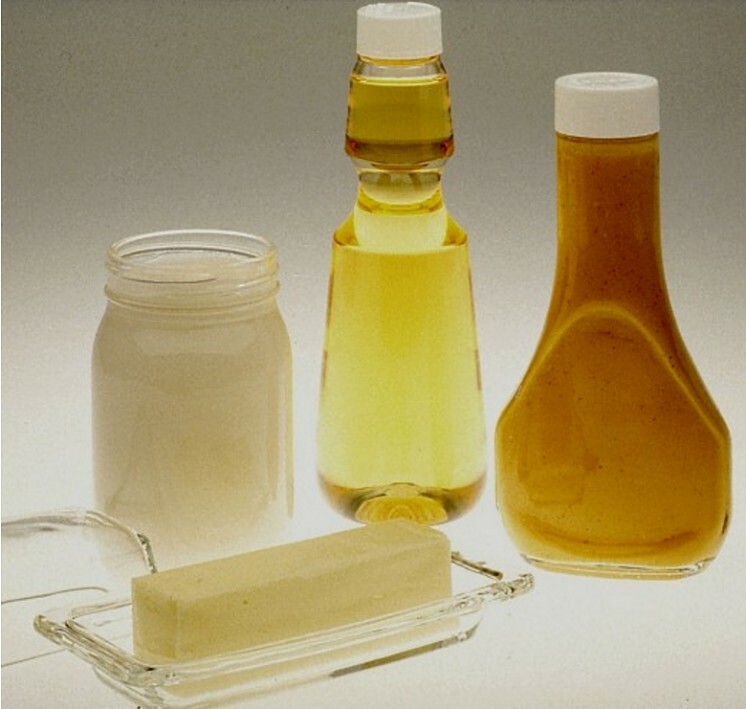 Butter and many animal derived oils contain trans fats. ► Low saturated fat and a predominance of poly-unsaturated fatty acids rather than the mono-unsaturated ones are considered better choices for healthy oils. Using these concepts a health rating has been devised based on the amount of trans, saturated fatty acids and poly-unsaturated fatty acids in the oils. Tables for the various oils, grouped by smoke point temperature and ranked for health are shown in the tables below. The higher position in each listing, the higher the health score. Shown below are a group of high smoke point oils that have been ranked in terms of their saturated fat contents. Low saturated fat and a predominance of poly-unsaturated fatty acids rather than the mono-unsaturated ones are a better choice. Canola oil should be a good choice, but some products contain trans fats and many people avoid this oil due to genetic modification. Blended oils are risky as you no not know what they contain. Always read the nutrition labels carefully before choosing the oils you need for various purposes. 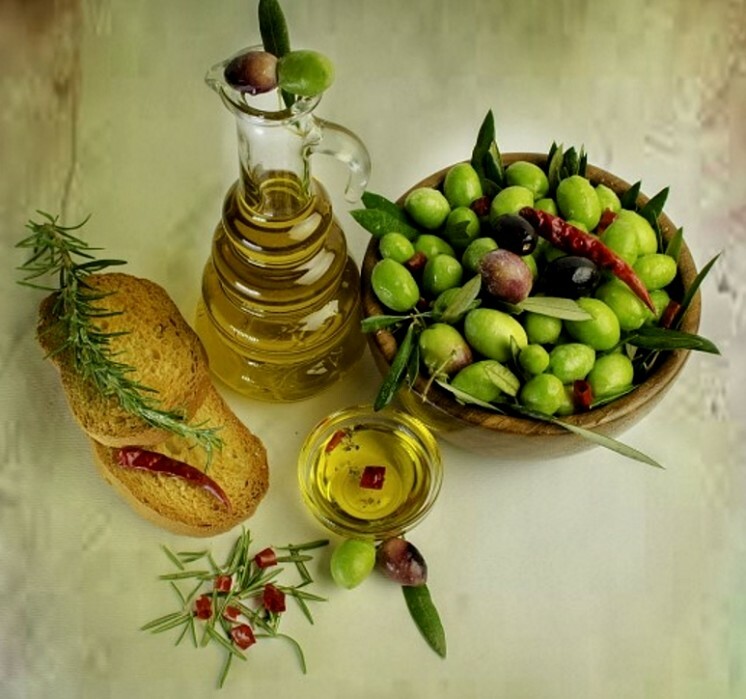 Olive oil is generally not suitable for high temperature frying as it has a low smoke point, but it is a good oil for other general purposes. Some refined varieties have a higher smoke point. The strong taste of olive may also be unsuitable for many dishes. 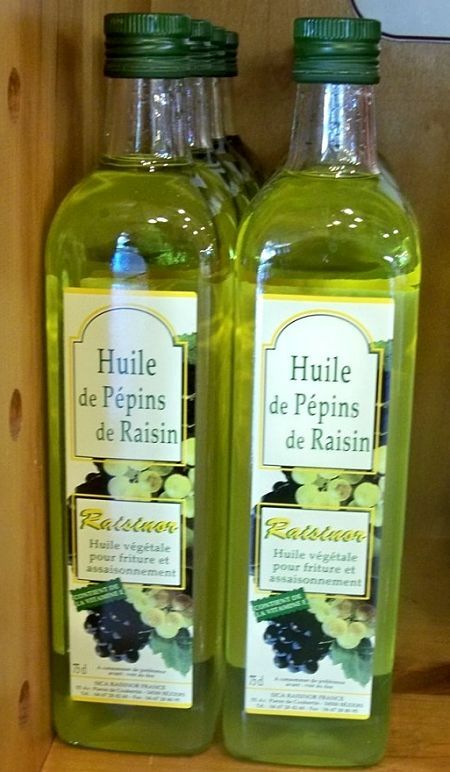 It has a good reputation as a healthy oil and is part of the Mediterranean diet. The smoke point for most olive oil is relatively low and 375 degrees. Extra light olive oil has a smoke point of 468 degrees and can be used for frying, but other oils are better. 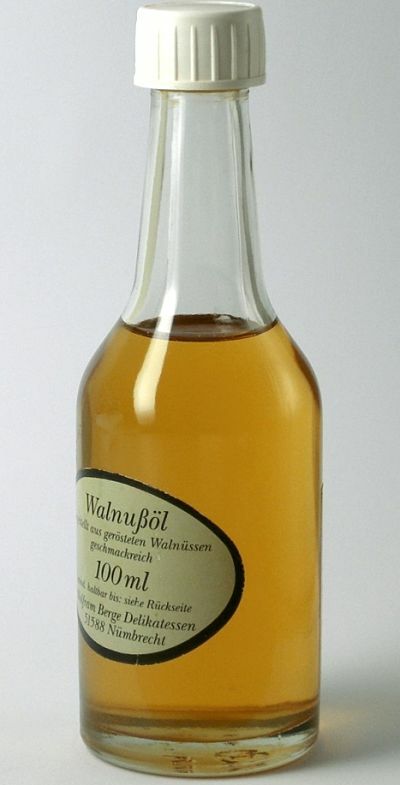 Nut and seed oils generally best for salad dressings and generally cooking purposes rather than frying. They impart distinct flavors which are an asset for many of these dishes. Walnut oil, dark sesame oil, hazelnut, pumpkin seed, macadamia and pecan oils are all excellent oils for adding flavor. They can be added to stir fries, but generally at the last minute to impart flavor. Flavored or scented oils an be used in a similar way to nut a seed oils to add flavor. While often used for frying many animal derived oils such as butter contain trans fat. Most are also rich in saturated fatty acids which are generally considered unhealthy. They have medium to low smoke point temperature, which mean they burn and tends to oxidise when used for frying. 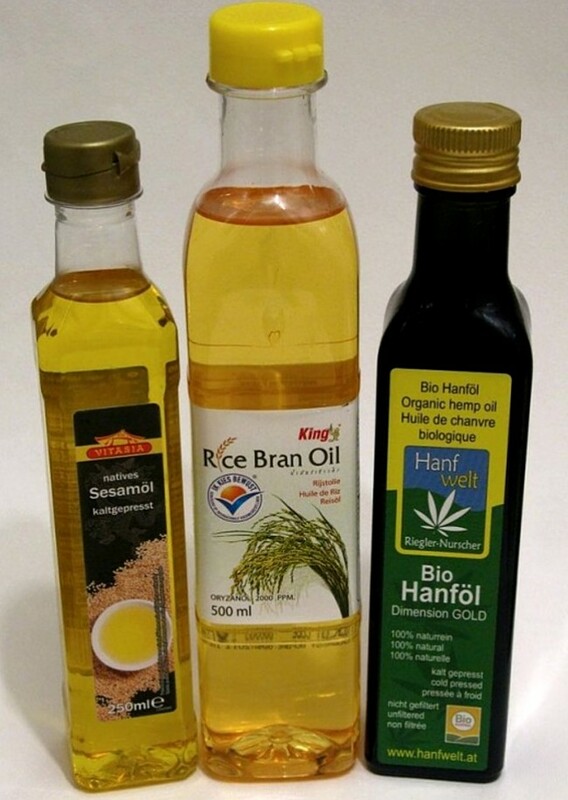 Many oils with very low smoke points are unsuitable for frying, but a great in salads and for adding to baked goods. Olive oil is very popular but it is not suitable for high temperature frying and its smoke point temperature is too low.